Rabbi of Byelgorai, Poland, in the eighteenth century. 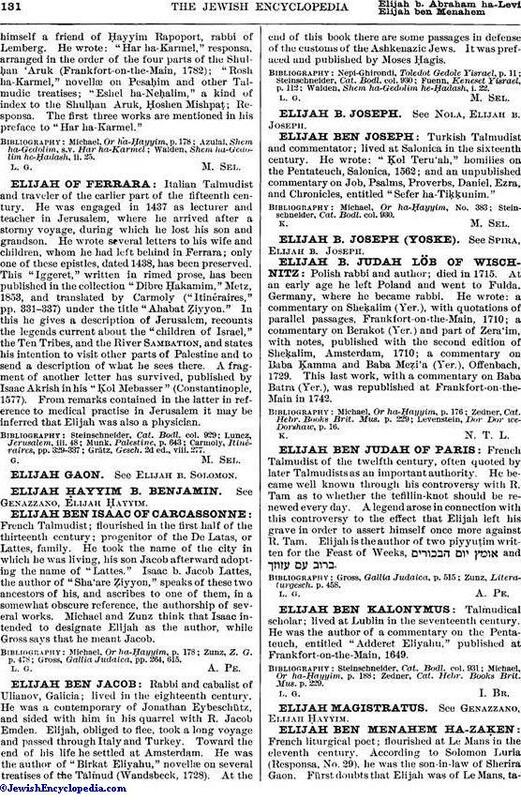 His father, Ezekiel, was rabbi of Ostrovtsi, Galicia, and he washimself a friend of Ḥayyim Rapoport, rabbi of Lemberg. He wrote: "Har ha-Karmel," responsa, arranged in the order of the four parts of the Shulḥan 'Aruk (Frankfort-on-the-Main, 1782); "Rosh ha-Karmel," novellæ on Pesaḥim and other Talmudic treatises; "Eshel ha-Neḥalim," a kind of index to the Shulḥan Aruk, Ḥoshen Mishpaṭ; Responsa. 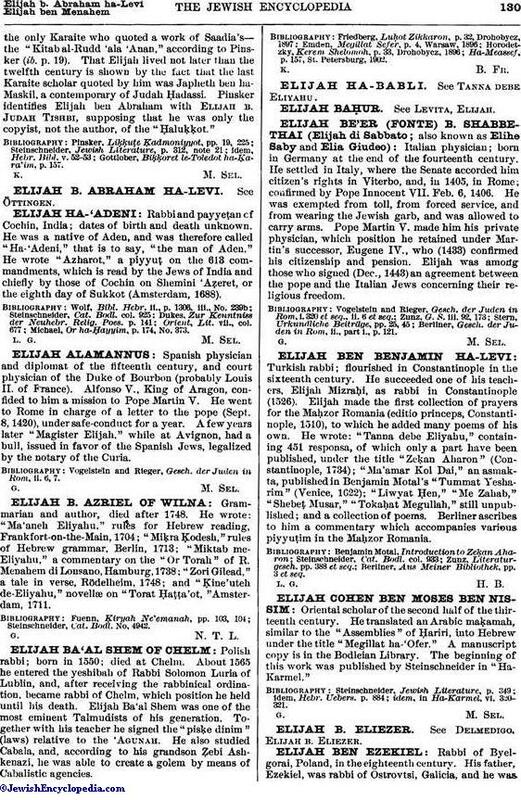 The first three works are mentioned in his preface to "Har ha-Karmel." Walden, Shem ha-Gedolim he-Ḥadash, ii. 25.